You really can’t argue too much: good Napa County fences do make good Napa County neighbors. Fences play an interesting role in our lives. 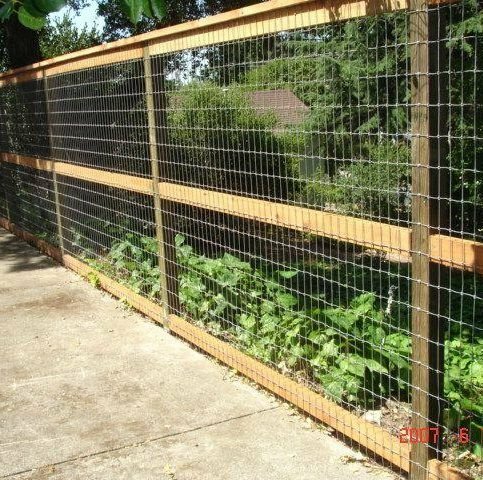 Sometimes, you absolutely want a fence – to keep your pets in, to keep deer out, to keep neighbors’ eyes from prying into your home in Napa County, whether in Calistoga, Napa, American Canyon, Yountville, St. Helena, Oakville, or Pope Valley. Other times, you want to add a fence to add beauty to a view. Or maybe you simply want to define a boundary. Whatever the reason, fences can be both extremely useful and, at the same time, quite pleasing to look at. When it comes to choosing a fence, you have many options, from woods like cedar, redwood, and cypress, to vinyl, to chain link, to aluminum. No matter where you are placing your fence and what you need it to do, you can find the optimal combination of fencing materials, design, and installation to suit your needs. 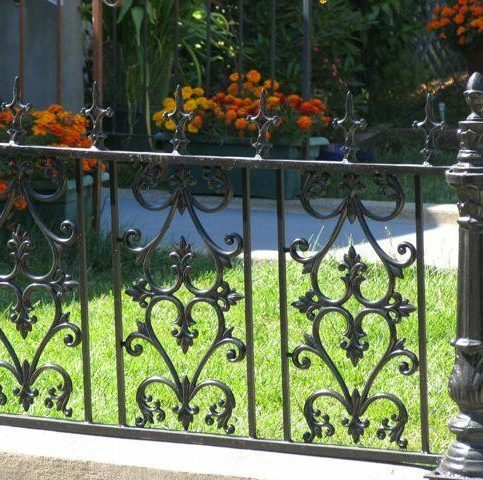 Fences for Napa County homes and businesses can be made of various materials and come in many different styles. The first thing to decide is what you need the fence for. Are you marking the perimeter of your Napa County property? Are you trying to keep a dog in bounds? Are you trying to prevent deer from wandering into your garden? Are you guarding a pool from wandering toddlers? Knowing what you want your fence to do is one of the first steps in determining what you need. Next, take a look around the property in Napa County, whether you are in Calistoga, Napa, American Canyon, Yountville, St. Helena, Oakville, Pope Valley, or Deer Park. Is the land relatively level? Or is does it include steep inclines? Next, consider access. 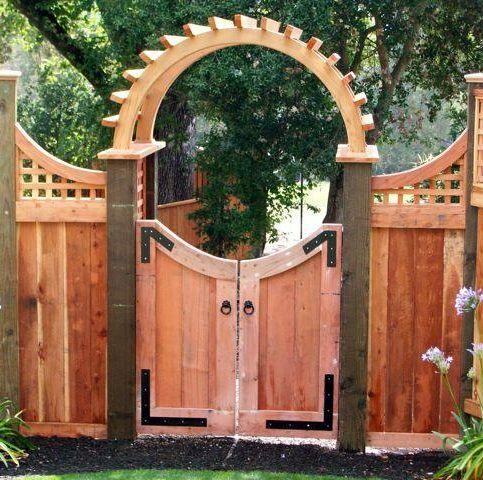 How many places will you want to place gates? Is this a residential fence surrounding a driveway, and will you need a gate to allow a car to drive through? Or are you building a fence to go around the back and sides of the property, and will you need a gate on each side of the house? Are you looking for a permanent fence, or do you want a temporary fence? Once you’ve settled what you need your Napa County fence to do, you can look into what materials to use. For many fences, such as perimeter fences, security fences, and general residential fences, your material choice depends on a combination of looks, costs, and your personal taste. A perimeter fence could be made of aluminum, wood, or vinyl, for example. With wood, you will have several options, probably including cedar and redwood. Sometimes, wood is pressure-treated, which means chemicals have been pressured into the wood to help it resist moisture and insects. Since 2003, the chemical most often used to treat wood is alkaline copper quat (ACQ). ACQ replaces chromated copper arsenate (CCA), which was restricted after concerns about arsenic leaching out. 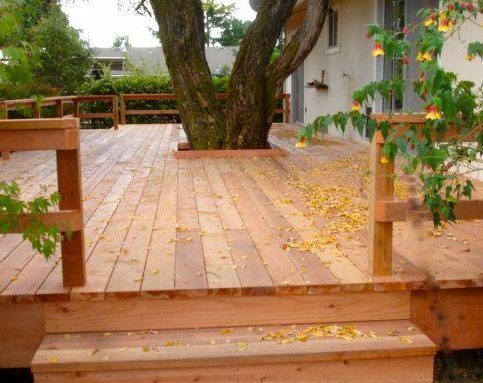 Be sure to inquire about what chemicals were used if your wood is pressure-treated. Once a wooden fence is in place, you may have to stain it from time to time, or otherwise treat it to help prevent damage from water and weather. Owners in Napa County and elsewhere are increasingly turning to vinyl for fences. This is because vinyl can be made to look like wood or can be made to look like painted wood, yet requires less maintenance than wood. You do not have to paint or stain vinyl fences. Vinyl fences have improved since they were first introduced, and they can last a long time. Vinyl may cost more than wood initially, but the benefit comes from the reduced maintenance over time. You can clean a vinyl fence simply by hosing it down. Some vinyl fence owners claim that vinyl fences attract dirt, but the solution is relatively simple. Vinyl fences used to be available in very few shades – white and beige – but now many colors are available. Consider the proposed use before setting on vinyl. Some vinyl fences are reinforced with steel at certain points, to increase the strength and stability of the vinyl fence. However, some warn that any large animal, like a horse or a cow, could easily break through an unreinforced vinyl fence. If you do want to contain livestock, you might want to consider running an electric fence line around the interior of the vinyl fence to prevent livestock from breaking through. If you need a durable fence material, consider aluminum. When looking at aluminum sources in Napa County, you’ll be considering the alloy used; companies tout the composition of their alloys for adding strength and durability to their fences. Some companies also used increased amounts of aluminum in their fences, adding strength but also weight to the fence. You will also want to consider the finish on the aluminum. Most aluminum fencing has a powder coat – look to see what kind of weather resistance it offers. Some aluminum uses the same kind of paint as is used on cars – again, you are concerned about how well the exterior coating – no matter what it is – will stand up to weather, especially if you live in a severe climate. Chain link fences typically come in different wire gauges. The wire gauge correlates to different strengths. Chain link fences can also be interlaced with slats, for increased privacy. Some chain link fences can be found in different colors, other than the basic galvanized silver. While mostly what you use for your fence is your decision, there are some cases where there are proposed standard it would be worth following. If your Napa County home or office has a swimming pool, you need to take care. Fences surrounding a swimming pool should meet the Building Officials and Code Administrators (B.O.C.A.) national guidelines. These guidelines include height, at least four feet tall, with spacing between the pickets of less than four inches, as well as self-closing and self-latching gates, among others. 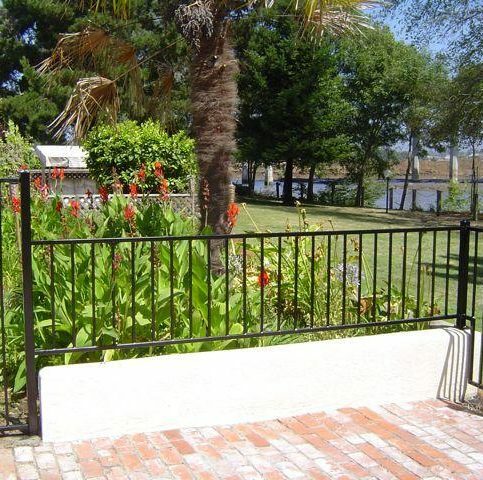 You would want to look for companies that offer BOCA-compliant fencing. Fence design is as important as determining the fence’s purpose and what it will be made of. Fences essentially consist of posts, the anchors of the fence that are sunk into the ground and stand up vertically. Stretching horizontally between the posts are the rails. The fence may consist only of post and rails. Or fence boards, also called pickets, may be attached to the rails. In this case, the rails become part of fence frame, supporting the pickets. The length of fence between two posts is called a section. You need end or terminal posts where the fence stops, you need posts that occur at pretty regular intervals along the fence, these are called line posts. You will also need specific kinds of posts, for example, which will be used where gates are installed and where the fence meets a building. As you choose the style of fence for your house in Napa County, whether in Calistoga, Napa, American Canyon, Yountville, St. Helena, Oakville, Deer Park, Angwin, or Pope Valley, you’ll find many possible options. Many companies make pre-fabrication sections of fences. You would have to choose your material and how far apart you want the pickets. For a privacy fence, you might choose board-on-board, in which the boards are overlapped. Then, even as the boards shrink and expand with the weather, the neighbors still cannot see through the fence. Or you might select a dog-eared fence, in which the tops of the pickets are cut off on each side, to form a vaguely dog-eared shape, then the pickets are attached at the top and bottom. Besides the many pre-fabricated fence sections available, you might choose to have a custom design. An experienced fencing company should be able to create a custom fence from your design ideas. When you take the time to look, you can see that for the most part, fences do not run all the way down to the ground. Instead, there is a gap between the bottom of the fence and the ground. For wood fences, this is especially important, since it helps protect them from rot and damp. If you wish to close this gap, you can install a kickboard, which runs along the bottom of the fence and closes the gap between the fence and the ground. Kickboards are easier to replace than the entire fence, if they get damaged. A kickboard can also prevent dogs or other animals from tunneling under the fence. If a kickboard does not stop a dog, you could also consider a concrete footer. Again, this footer will run along the bottom of the fence. 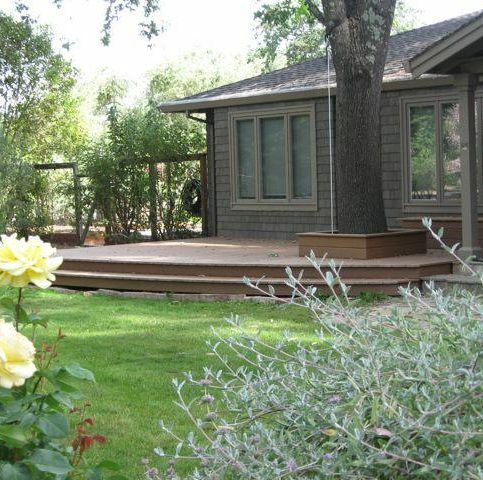 Your Napa County property’s terrain must be considered when you are designing your fence. If the terrain is flat, there is not much problem. You simply have to account for the distance you want the fence to cover, the corners and turns involved, the placement of gates and buildings. If the land is moderately sloped, your fence may have to be raked. Raking refers to installing a fence so that it follows the slope of the land. The posts are plumb, but the section of fence installed between them is slanted into a parallelogram, so that the top and bottom rails of the section are not level. If the slope is too acute, the materials may not be able to rake sufficiently to accommodate it. In this case, you may have to use stair-stepping. In the stair-stepping technique, each section of fence is installed above or below the adjacent section, following the incline or decline of the ground. The resulting fence looks like a staircase, with each section of the fence acting as a stair. Since fences outline boundaries, it’s important to place them correctly. You need to know the boundaries of your Napa County property. If you don’t, you can contact a survey company, which should be able to find out exactly where your property lies. Once you know your property lines in Napa County, whether in Calistoga, Napa, American Canyon, Yountville, St. Helena, Rutherford, or Deer Park, you need to find out if there are any other restrictions that apply. Does your city have a required setback? A setback is a distance from the property line in front of which the city does not allow certain actions, such as landscaping or building, for example. Your homeowners’ association may also enforce setbacks or other limitations. You should take the time to make yourself aware of any restrictions about building a fence on your property. California typically does not mandate that owners to need permits to build fences of less than six feet, or less than eight feet when the top two feet are made of barbed wire. However, California does have other regulations about fences. Fences in front of the house cannot be more than 42 inches high, while fences in the rear cannot be more than 72 inches high. A fence that lies within five feet of a building must be either made of materials that will not combust or must be at least as fire-resistive as the exterior wall standard. California also has strict requirements for masonry walls, requiring that the concrete must have a compressive strength of at least 2500 pounds per square inch (psi), while the mortar mix must have compressive strength of 1,800 psi and the grout should have 2,000 psi. California enforces strict standards for any pool with a depth of over 18 inches. The fence must be at least five feet tall, with no more than two inches between the ground and the bottom of the fence. The gate of the fence around the pool must self-close and self-latch, and the latch must be sited at least 54 inches from the ground. It’s worth taking a moment to mention the “good neighbor” law in California. This law says that the neighbors must share the cost of the fence, unless one of them is willing to let their own land go unfenced. If the person with the unfenced land later decides to add a fence, then that person must pay toward the cost of the shared fence. Your Napa County fence company should be able to discuss all the California state requirements with you and be able to meet those requirements. Many fencing companies can help you understand who you need to contact about setbacks, etc. While a knowledgeable fencing company may be able to point you in the right direction to find out about local codes and restrictions, most will not take responsibility for meeting those codes. Instead, the owner is generally responsible for finding about them and making sure they are adhered to. You and your Napa County fencing company should discuss who is responsible for meeting local requirements. Your fencing company should always check with the local utility company before digging the posts, since you don’t want to run into any underground lines – electric or otherwise. Make sure that your fence company will do the checking, or you must do it yourself. But the fence company must ultimately know where to avoid digging. Who’s Building Fences in Napa County? If you choose, you can put in your Napa County fence by yourself. If you feel comfortable with the work, you can choose your materials, order them, and install them. Many fencing companies sell supplies and include CAD drawings, instructions, videos, and other aids to installation. If you are not comfortable building the fence yourself, a full-service fencing company will not only design the fence with you, they will also provide the materials and the installation. You should be aware that most fencing contractors are not willing to install materials that they don’t provide. If you do hire a fencing contractor, they must be licensed by the state of California, probably with a C13 fencing contractor license. Their license number must appear in their advertising. You can check the license online at the Contractors State License Board site to see that it is current and has no complaints against it. 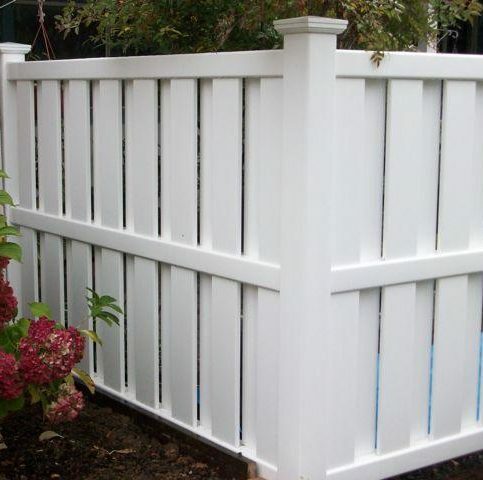 Proper fence installation is an important final step, and a good job will ensure that the fence does not sag or sway. The most important thing is to be sure that the posts are properly installed. A post should ideally be in a hole at least one-third the length of the entire post, or half the length of the above-ground part of the post. This often does not happen, but you should go for at least 2-3 feet deep. Posts may be set in gravel and backfilled with dirt, or they may be set with concrete. Concrete should at least be used for corner and gate posts, as should any post in loose ground or where there are high winds. The posts should be set into gravel, made plumb, and braced. The concrete can then be poured. Getting the posts right – making sure they are plumb – is critical because it means there will not be sags in the fence or that you won’t be forced to cut pieces to make them fit. You should also be sure you have sufficient posts along the line of your fence. For example, chain link requires posts at regular intervals to retain stability and integrity. Why Trust Diamond Certified Fence Contractors Rated Highest in Quality? Only the best fence companies in Napa County have earned the Diamond Certified award by scoring Highest in Quality in the most accurate and rigorous ratings process anywhere. You’ll never be fooled by fake reviews, since all research is performed by live telephone interviews that verify only real customers are surveyed. Most companies can’t pass this test. That’s why you’ll feel confident when you choose a Diamond Certified fence company listed below. Simply click on the name of a Diamond Certified company below to read ratings results, informational articles and verbatim customer survey responses. Thousands of customers of local companies have been interviewed in live telephone calls, and only companies that score Highest in Quality in customer satisfaction–a 90+ on a 100 scale–as well as pass all of the credential-based ratings earn Diamond Certified. By requiring such a high score to qualify, the Diamond Certified program cuts out mediocre and poorly performing companies. If you want quality, you’ll have confidence in choosing Diamond Certified companies. And you’re backed by the Diamond Certified Performance Guarantee. If the fences on your Napa County property are crying out for help, start by asking yourself a few questions. By having a good idea of what you need already settled, you will be better prepared to speak with your Napa County fencing company. 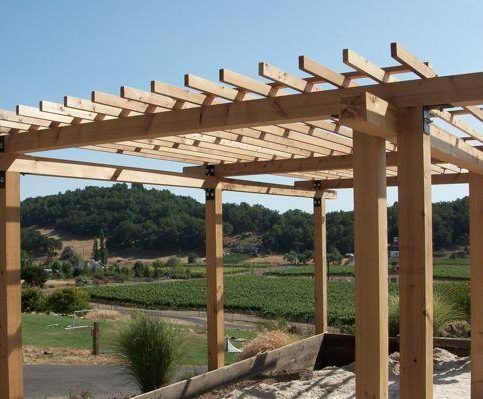 Then you can take full advantage of the conversation with the Napa County fencing company and focus on your specific needs, instead of spending lots of time trying to figure out what those needs are. It might help to draw up a list of questions to ask yourself. Some of those questions might include the following. Is security something I need from the fence, or am I just looking for a perimeter fence? Do I have any concerns about where I plan to put the fence? Am I concerned about my property line, about local codes, or about my home owners’ association? Are there any materials I am particularly attracted to? Do I like the look of wood or aluminum? Are there any special requirements about my property – is it especially hilly? What kinds of gates do I think I need for my fence? Do I want to repair or replace an existing fence? Or do I want a new fence? Am I considering vinyl as a possible option for my fence? Do I have any concerns about my situation and the strength of a vinyl fence? Do I want a permanent fence or am I looking for a temporary fence, for example, for grazing some livestock? Do I have a pool that I need to enclose? Depending on your situation, you may or may not meet your Napa County fence company representative in person. Sometimes the fence company will come to your property to do an estimate, or to help with the design process. In some cases, you may use the phone or Internet to deal with all the questions. If the fencing company is installing the fence, it’s more likely that they will come to do the measuring and estimating. If you do meet your fence company representative in person in Napa County, whether in Calistoga, Napa, American Canyon, Yountville, St. Helena, Rutherford, or Angwin, you can ask more detailed questions. Some of those questions might include the following. How will you handle the intersection of the building you see and the fence? How deep do you plan to sink the posts? Since you are replacing the fence, will you dig out all the old posts and replace them? Or will you simply cut some of them down so they no longer appear above ground? What kind of gate would you recommend for entering my driveway through this fence? I really like wood, but now that you see the site, do you have any reason to recommend a different material for the fence? Can I run electric fencing around this existing fence? Can you tell me the benefits and deficits of the different fencing materials that you carry? Do I need to take the art down from the fence before you remove it, or will you handle that? I really like this tree. Do you think it needs to be trimmed back before you can work on the fence? How can you help me keep my dog inside the fence? He is a digger. It’s best to choose a Diamond Certified fence company because all certified companies have passed an in-depth ratings process that most other companies can’t pass. If you want quality from a fence company in Napa County and the greater Bay Area, you can have confidence choosing a Diamond Certified company. Diamond Certified reports are available online for all certified companies. And you’ll never be fooled by fake reviews. That’s because all research is performed in live telephone interviews of actual customers. If you can’t find a Diamond Certified fence company within reach, you’ll have to do some research on your own. If you do, it’s wise to call some references provided by your fence company. Keep in mind, though, that references provided to you by the fence company are not equal in value to the large random sample of customers surveyed during the Diamond Certified ratings process. That’s because references given to customers from companies are cherry-picked instead of randomly selected from all their customers. So the contractors will likely give you a few customers to call that they know are satisfied. How did the installation go? Were the workers punctual and did the work get finished in a timely manner? Did materials arrive promptly, or were there big delays in getting what you needed? Why did you install a fence – for security, to mark the perimeter, to guard a pool? What material was your fence made of? Wood, chain link, vinyl, aluminum? If you designed a custom fence, did it meet your expectations? Did the execution match your design? Did the fence company seem familiar with California laws and with any codes or restrictions local to your area? How much help did they give you in finding out about any such codes? Were you satisfied with the fence company’s work? Why or why not? Did you install a gate? If so, what kind of gate? Are you happy with it? How long have you had your fence? Have you noticed any problems with it, or anything you would change now that you’ve had it for a while? Did your landscape have any special problems, like really steep hills? Were those handled satisfactorily? B deciding on the best fence company in Napa for you, it’s important to consider the following questions. Is the fence company familiar with and willing to help you meet any local building requirements? 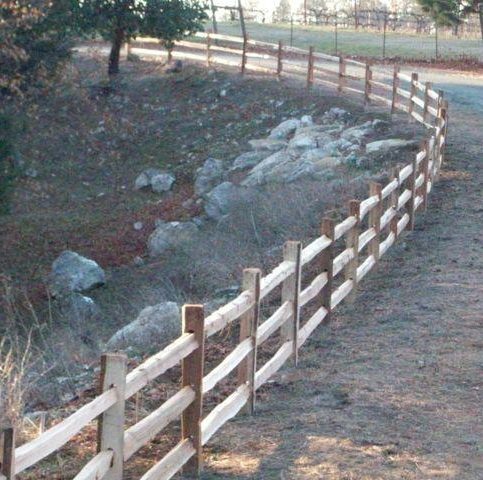 Does the Napa fence contractor offer quality products? Does the fence company offer design advice or even custom designs, if that is what you want? Does the fence company clearly explain the benefits of the materials that they supply? Does the company have a focus primarily on fences? Does the fence contractor install the fence or, if you so desire, offer instructions and help if you choose to install the fence yourself? Does the Napa fencing company have experience working in your local area? Is the fence company familiar with California building codes? 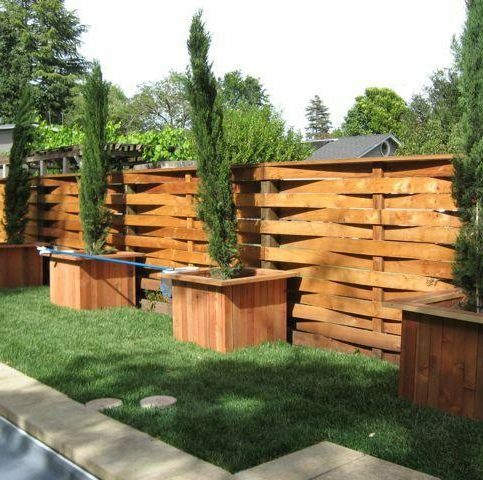 Do a little preparation to help you hire the best Napa County fence company. Think about what you want your fence to do. Is it marking a boundary? Is it a security fence? Is it protecting a pool? Then think about the terrain where the pool will be – does it have any special characteristics that have to be accounted for – like very steep inclines? Does your property in Napa County, whether Napa, American Canyon, Yountville, Calistoga, St. Helena, Angwin, Pope Valley, or Rutherford, have buildings that the fence will have to intersect with? How many gates do you want and where do you want them? About how much land does the fence have to cover, and where will the fence corners lie? Even if you don’t have specific answers to all these questions, reviewing them and providing the answers you do have will help the fencing company better understand what you need and offer solutions. 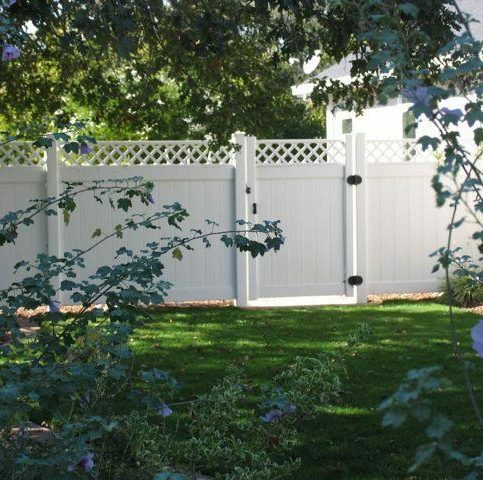 Once you’ve chosen your Napa County fence company, you can determine how involved you want to be in the project. If you want a custom design, you will have to work closely with your fence company until it is complete. Even if you are using pre-fabricated fence sections, you will have to choose your design and materials. No matter how involved you choose to be, you will probably have to sign off on a final fence design. When the fence is installed, you probably don’t have to be physically present, unless you choose to be. 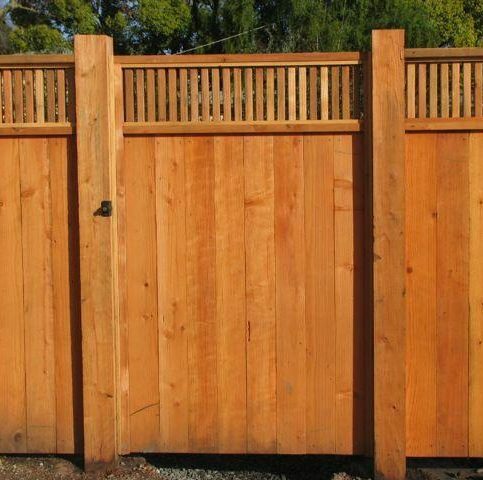 Your Napa County fence project will benefit from your contributions and will go more smoothly. First, if you have any doubts at all about a property line, get it resolved before the fence installation begins. Also, find out about local codes and restrictions from bodies like a homeowners’ association well in advance of any construction. If there are trees or brush in the way of the fence, get it cleared or trimmed back before the job starts. If you have a neighbor, let the neighbor know that you are having work done on the wall. This allows them to secure pets or remove items from an existing fence before a new fence is installed. If you have anything installed on an existing fence, remove it and store it until after the new fence is completed. Be available to answer any questions or respond if problems come up and the plans must be altered. These are a few steps that will help the job go smoothly, whether in Calistoga, Napa, American Canyon, St. Helena, Yountville, Angwin, Oakville, or Rutherford. How Can You Be a Good Fence Company Customer? It’s the fence company’s responsibility put in quality fences using the best possible installation techniques. But you play a big part in the success of your fence company, too. 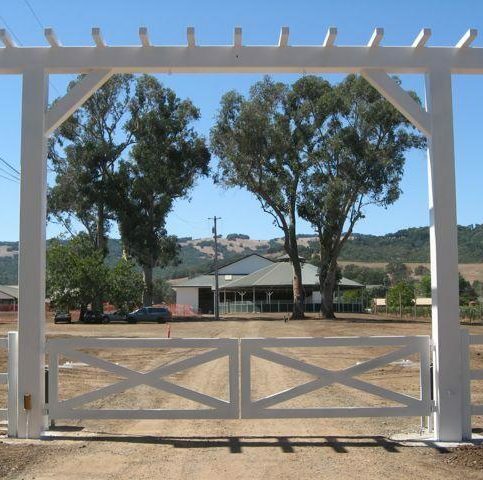 Here are a few simple steps you can take to be a good customer when hiring a Napa County fence company. Be clear and upfront with the fence company. Let them know what you want from your Fences, the long-term outcome you’re expecting and specific ways they can satisfy your expectations. Before you hire a fence company in Napa County, restate your expectations and goals, and reiterate to the fence company representative your understanding of the agreement. Most problems with local fence companies occur because of a breakdown in communication. By being clear about your expectations and theirs, you can avoid most conflicts. Ask your fence company if you should call to check on the progress or if he will call you with updates. Be sure your service representative has a phone number where they can reach you at all times while they’re installing fences. The work will move along more smoothly if your Fences can reach you for any necessary updates, questions or work authorizations. When your contractor contacts you, return calls promptly to keep the fence company on schedule. Pay for the fence company work promptly. Why would you want to be a good customer? 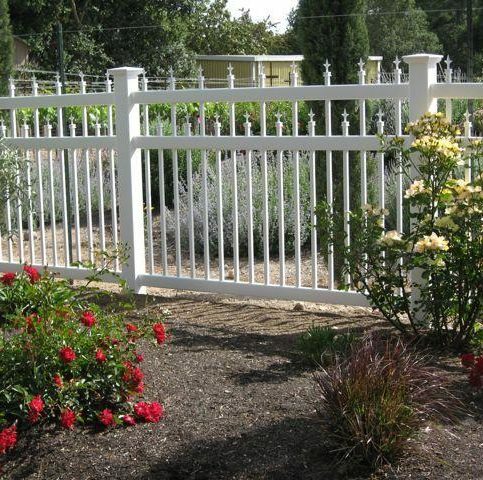 Fence companies in Napa County appreciate customers who are straightforward, honest and easy to work with. Your good customer behavior sets the tone from your end and creates an environment conducive to a good relationship. Things may very well go smoother and any problems may be more easily resolved. Your Napa County fence company should not start the project until you have a written contract or estimate. The document should be detailed enough so that you can identify the cost of materials and the cost of labor. The document should also clearly state timeframes in which work should be accomplished. As materials are delivered to your Napa County home in St. Helena, Napa, American Canyon, Yountville, Calistoga, Deer Park, Angwin, or Rutherford, check that the proper materials are delivered. Check that the fence is installed according to the design. Verify that the work is completed as the document specifies. Be on the lookout for two kinds of warranties for your Napa County fence. Many fencing material manufacturers provide warranties for the fencing supplies. Some even offer a lifetime warranty. Find out what this product warranty means – are there any exclusions under which the warranty is not valid? 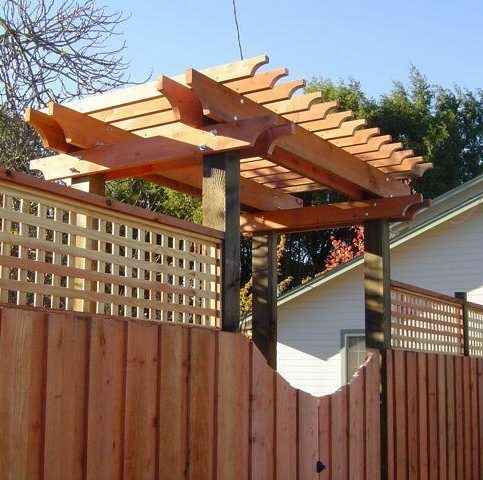 Your Napa County fence company typically also provides a guarantee on the workmanship for the fence installation. Often, this warranty on workmanship applies for one year. There are other laws in California that protect you for a longer time. If the work done by a contractor causes physical harm to someone, for example, there is virtually no time restriction on filing suit. Other laws do apply time constraints, for example, on discovering defects in workmanship. Many Napa County owners find that fences make them feel more secure. They are safely behind the fence, and the rest of the world is kept out. Fences can also improve the looks of a property in Angwin, Calistoga, Napa, American Canyon, St. Helena, Yountville, Deer Park, or Pope Valley. Fences keep our animals in and our plants protected. Fences are both useful and decorative, and Napa County home and business owners look to fence companies for a variety of reasons. A new permanent fence can be installed for a number of reasons. Perhaps a new buyer wishes to mark the boundaries of his or her land. Or a homeowners’ association may decide to build fences between the plots in its community. Or a landowner may find new uses for his or her land and want to fence part of it off. There are many reasons for installing a brand new fence. Just be sure to check the property lines so that any fences do not intrude on others’ property. Electric fences are fences that include some method of discharging an electrical current. Usually, an electric charger is used in combination with a wire that runs around the inside of the fence. After the livestock are shocked once or twice, they tend to not try to escape through the fence. The ornamental fence is installed to improve the looks of a property. It is often cast iron or made to look like cast iron. When fences go up, you need a way to get in and out. Sometimes, a simple swing, or hinged gate, is installed. Over time, the homeowner may want to update the look of the fence and so will install a new gate to allow access to the property. Fence design runs from the straightforward to the fairly complex, depending on the project. A simple fence on level land can be pretty easy to build. 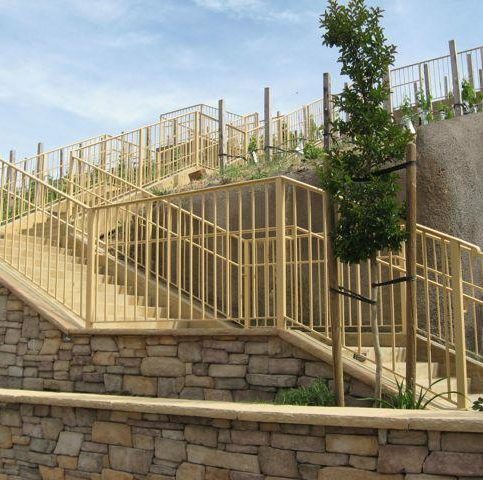 If the land has significant slopes and inclines, you must design a fence to suit the landscape, using raking or stair-stepping to accommodate changes in the terrain’s grade. You must also take you materials into account – for example, there is a limit on how far chain link should be stretched between posts so that it retains its strength and stability. Fence design can be as detailed as needing to know the types of posts – corner posts, end posts, terminal posts, – that you need to order. You can get pre-built panels or sections of fence to install between posts. And many fencing contractors offer standard fences for installation. But top fencing contractors can work with you on a design, possibly from a sketch of your own, to make the specific fence that you want. Depending on the materials and practices used to build a fence, a fence may deteriorate over time, and it may require repair in specific sections. Most fences can be repaired section by section, without having to replace the entire fence, unless the entire fence is compromised. Fences do have a lifespan, even if some materials can span generations. One of the most common requests is to replace an existing fence. You should know that usually when an existing fence is replaced, it is put in exactly the same spot as the old one, unless you request something different. So if you have any doubts about the fence’s location, you should resolve them before designing the installation of the new fence. Often, homeowners do not want to feel that their neighbors are overlooking them or that they are peering unwittingly into their neighbor’s yard. But close living quarters can make it difficult to avoid proximity to neighbors. In these cases, a privacy fence may be installed. A privacy fence is often on the tall side, and the boards that make up the fence are placed very close together or overlapping so that you cannot easily see between the fence boards and into the neighbor’s yard – nor can they see you. Temporary fences are often used to guard livestock. For example, if you want to restrict grazing to a certain area for a limited amount of time, you can construct a temporary fence to force livestock to graze in that particular area. 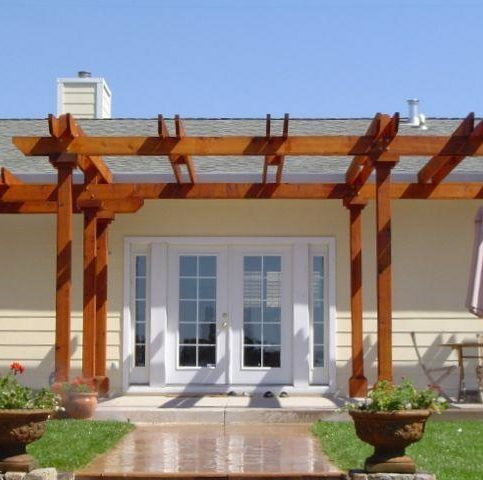 Your Napa County fence company offers many different options for building your fence. Wood, aluminum, and vinyl are few of your options. 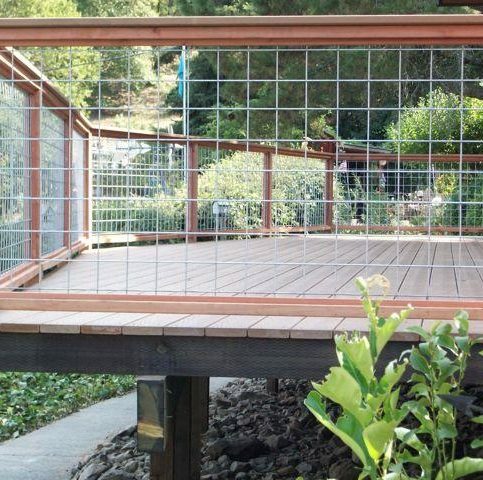 Your house in Calistoga, Napa, American Canyon, Yountville, St. Helena, Pope Valley, or Oakville may benefit from fencing built out of any of these materials. 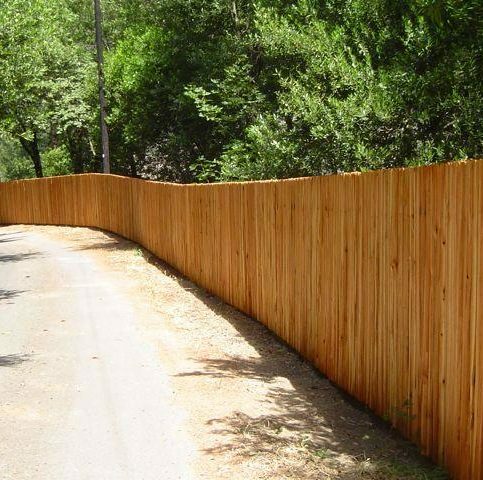 Some of the leading manufacturers of some types of fencing material are listed below. Jerith makes aluminum fencing, including a new, screw-less system. Delgard has been one of the top U.S. manufacturers of aluminum fencing for decades. It fences work for security, perimeter, pool, and pet fencing installations. Gilpin has been in business for over 70 years, offering aluminum fencing, as well as steel fences. Their products can be used for security, pool, and perimeter fencing. Specrail has been offering aluminum fences for almost 50 years. Its fences are appropriate for pets, pools, perimeters, and security. Ultra offers aluminum fencing and railings, backed by a lifetime warranty. OnGuard makes aluminum fences that can be used for security fencing, perimeter fencing, pet fencing, residential ornamental fencing, and pool fencing. Kroy offers vinyl fencing, railing, and other outdoor structures, like such as outdoor roofs to cover patios and cast shade. The company offers three different lines, the Classic, Performance, and Elegance lines. 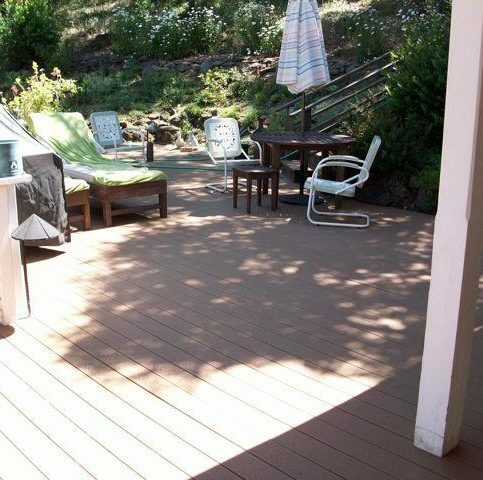 Illusions offers vinyl fencing in colors and in wood grain. 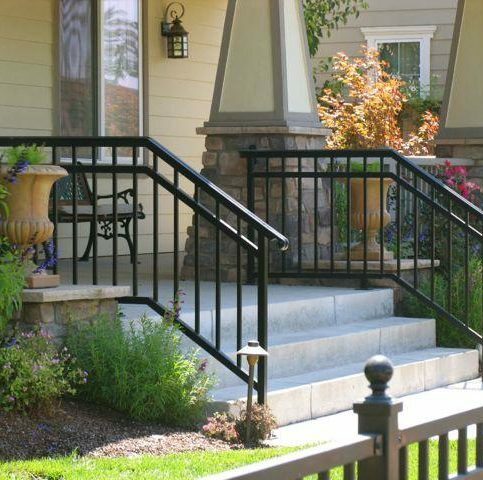 DSI makes aluminum and vinyl fencing and railings, as well as stone and aluminum columns. Fences might seem pretty straightforward, but as in most construction cases, the more involved you get, the more new territory you will find. As you speak with your fencing contractor, you may hear some unfamiliar words. Not to worry, using the glossary below, you can easily figure out what your contractor is talking about. If the glossary doesn’t cover every term your contractor uses, simply ask for clarification. A blank post is a post that has no holes pre-drilled into it. A blank post is often used as the post where the gate latch is installed. Gates may not have sections of the fence attached to them, so they don’t need a post with holes. A blank post is sometimes ordered if you need to drill a custom set of holes. A post that is used where two sections of a fence meet at about a 90 degree angle. The corner post typically has two adjacent sides that are pre-drilled for nails. A fence that has an electric current run through it. It is most often used for livestock or other animals. The end post marks the termination of a line of fence. It comes with holes pre-drilled in only one side. Often, the post adjacent to a gate is an end post, since the gate does not connect to sections of the fence. In a chain link fence, the devices used to attach the chain link to the fence posts. Refers to covering a material with zinc so that the material does not corrode. In fencing materials, typically steel nails or screws are galvanized. A structure that allows for passage through a fence. The height of the earth or the fence. If the ground has a level grade, then it is flat. Grade also refers to the bottom of the fence. When a fence follows a hill, the fence’s grade may not be exactly level or equal at all parts of the fence. Typically used with vinyl fencing. Vinyl fences must be flexible enough to bend on impact but strong enough to withstand heat and time without sagging. Vinyl fences sometimes have steel inserts, or impact modifiers, to maintain stability and strength. A fencing design in which lengths of wood are crossed over each other to form a pattern. Often used in cedar fencing. Refers to an unbroken stretch of fence, with no gates or openings. A line of fencing will change if significant changes in the earth’s grading force it to change. Any post that falls within the line of fence but is not a terminal post. 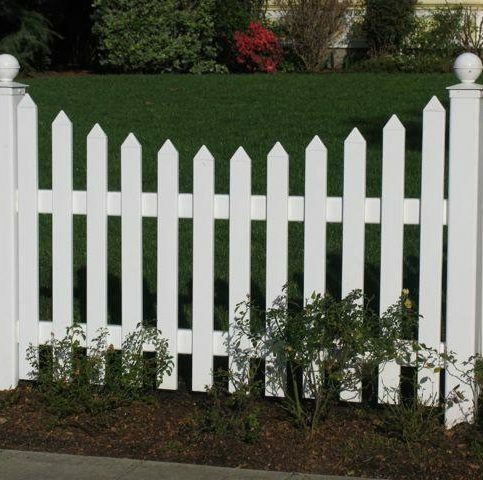 A structural element of a fence, the picket is the vertical element of the fence. It may be attached to rails. A structural element of a fence. Posts are sturdy vertical element that hold the sections of the fence together. While pickets, or fence boards, may make up the sections of the fence, the posts mark the beginning and ends of the sections. A common fence design, it consists of vertical structural elements called posts that hold up horizontal structural elements called rails. An ornamental element that is placed on top of a cap to serve as decoration. A tool that can help push the fence posts into the ground. A fence in which the pickets, or fence boards, that make up the vertical elements of the fence are closely spaced so that it is difficult to see anything through the fence. Taller fences may also be privacy fences. Raking a fence refers to how a fence section is mounted between posts on a slope or incline. The section of fence is stretched into a parallelogram, so that the top and bottom rails of the section are not level, but the pickets in the section of fence are vertical, and the posts are plumb. A rail is a structural element of a fence that runs horizontally. The rail is sometimes used for attaching the fence boards to the fence, but there are also fences that consist only of rails and posts. The distance between the rails on a fence. A rolling gate has one wheel on the front of the gate where it latches, and other wheels carry the back end of the gate. Since the gate sits in part on the front-end wheel, the surface must be concrete, asphalt, or otherwise firm and level. The rolling gate is not very suitable where ice and snow are common. 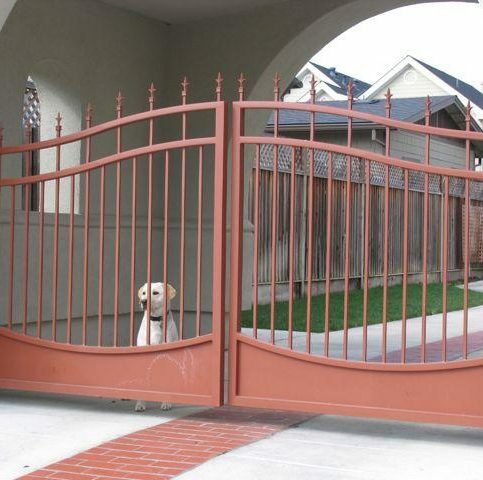 It is more expensive than a swing gate, typically, but less than a cantilevered gate. A section of fence is that part that is between any two posts. 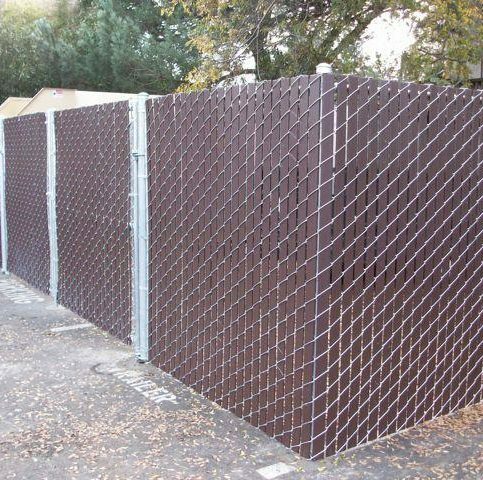 You can buy panels that serve as sections of a fence. A gate with a single leaf, or side. Typically refers to a hinged gate. A technique for installing a fence when the ground is severely sloped or inclined. 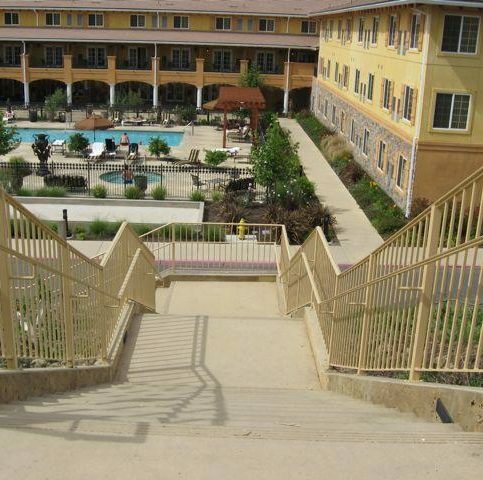 In this technique, each section of the fence is installed higher or lower than the adjacent section, so that each section of the fence looks like a stair in a staircase. The post that marks the beginning or ending of a line of fence. A chemical used in some vinyl fencing, it acts as both a bleaching agent and as a means to protect against sun damage. Refers to a type of gate that has a roller on it. The roller follows along a track that has been mounted in the driveway. Because the track and roller can get fouled, this style is not popular where there is a lot of snow and ice. Q: Why choose a Diamond Certified fence company? A: Diamond Certified helps you choose a fence company with confidence by offering a list of top-rated local companies who have passed the country’s most in-depth rating process. Only fence companies rated Highest in Quality earn the prestigious Diamond Certified award. Most companies can’t pass the ratings. American Ratings Corporation also monitors every Diamond Certified company with ongoing research and ratings. And your purchase is backed by the Diamond Certified Performance Guarantee. So you’ll feel confident choosing a Diamond Certified fence company. Q: Can I install a new fence by myself? A: Yes, of course you can install a fence by yourself. There are shops online and shops with brick and mortar locations that will sell you everything you need to build a fence. Many sources, including the online shops, will provide installation instructions, CAD drawings, videos, and other instructional material to help you install a fence that serves its purpose and lasts a long time. If you are comfortable with the work and skills required, by all means, you should install the fence by yourself. Do be aware of any regulations that your city, region, or neighborhood has in place. Find out if you need a permit, and familiarize yourself with the state laws. You will also want to check with the utilities company before digging any holes for the posts. Q: Does my neighbor have to contribute to the new fence costs? A: In California, there is a good neighbor fence law. In essence, the law says that both parties must share the cost of maintaining a fence, unless one of the parties decides to allow his land to remain unfenced. If that same party later decides to fence in his or her land, that party must contribute proportionately to the cost of the shared fence. Q: Can I order my fencing supplies online? A: Yes, there are many fencing companies online. They will often help you design your fence as well, with tips and guides on designing and installing the fence. Many also accept calls to help lines to help you figure out how to build your fence. If you do plan to buy your supplies online, you will have to do a bit more research so you know exactly what equipment you need – how many posts, how many panels, what kinds of posts, etc. If you plan to order supplies online and have someone else install them, check with your contractor first. Many contractors will not install material they did not order. Q: How can I stop my dog from digging under my new fence? A: You have a couple of options if you have a dog that likes to dig under the fence. One option is to install kickboards. Most fences, especially wooden fences, are not placed directly on the ground. There is a gap that is designed to protect the fence from insects and rot. However, if you need to plug that gap so the dog does not dig, you can install a kickboard. A kickboard is a piece of treated wood that goes along the bottom of the fence, bridging the gap between the bottom of the fence and the ground. A kickboard is much easier to replace than an entire fence. If a fence kickboard does not deter the dog from digging, you can consider a concrete footer, which again would run along the bottom of the fence. Q: If I have a wood fence, will the color of my fence boards vary? A: Wood is a natural product, so it is common for the color of fence boards to vary, no matter whether you are choosing cedar, redwood, or any other natural material. You may choose to apply a stain that will make the boards more similar in color. Q: I am replacing my old fence. Will all the old posts be dug out? A: When you are replacing a fence, the fence will typically be placed in exactly the same place as the previous fence, unless you request that its location be changed. When a fence is replaced, typically, the terminal posts, the corner posts, and the gate posts will be dug up and replaced in exactly the same spots. The American Fence Association industry guidelines allow for line posts to be cut so that they are below the grade and then new line posts will be placed at different intervals. You should speak with whoever is helping you design the fence about whether the line posts will be dug out or simply cut down. Q: What will happen to trees or shrubs that are near the fence? A: If you have trees or shrubs that will interfere with the fence, it is best that you have them trimmed before the fence is installed. Either you or a trained gardener will have the necessary knowledge to prune appropriately. If you do not trim the trees or shrubs, some fencing contractors will clear them for an extra cost, but possibly at the risk of damaging the plant’s long term prospects. If you have trees or shrubs that are near the fence and of particular concern to you, you should discuss the issue with your fencing contractor. Q: I see “good neighbor” fences advertised. What exactly does that mean? A: If you look at examples of so-called “good neighbor” fences, you will see that they are essentially fences that look good from either side. That way, neither neighbor is looking at the less pleasing side of a fence. Q: Will the fence follow my property line? A: Essentially, it is your responsibility to know your property line. If you don’t know your property lines, you should enlist a surveying company to help you identify them. A fencing company typically takes responsibility only for the fence design, and the installation, if they are installing it. Complying with local codes, the regulations of your home owners’ association, conforming to required setbacks, are often your responsibility, although the more reputable fencing companies may help you with some knowledge of local requirements and codes. The fencing company should be aware of California state codes.